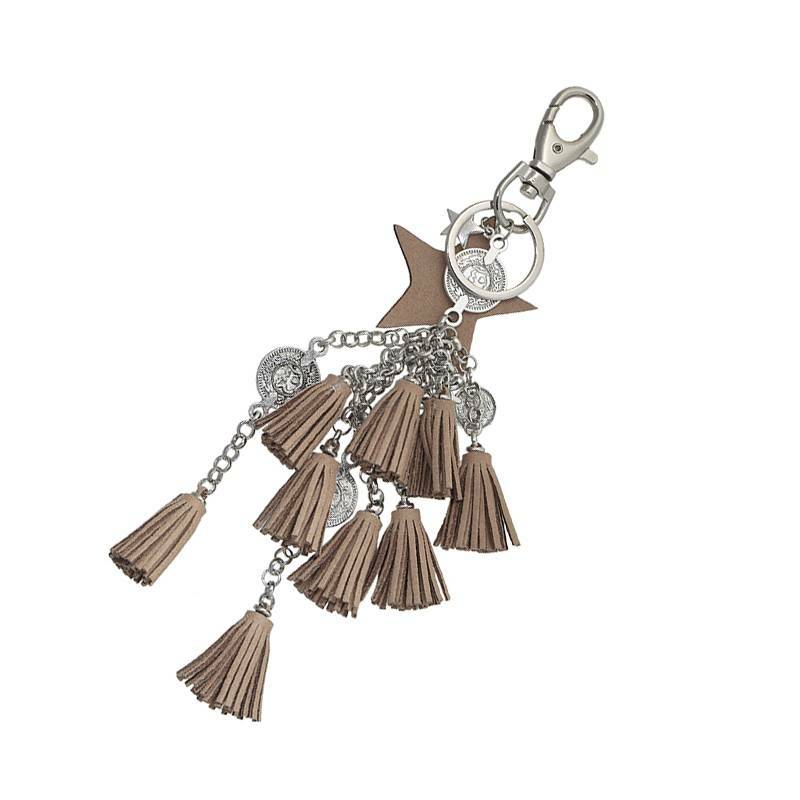 Boho key- or tashanger in silver with bohemian lace tassels and stars in brown tones. 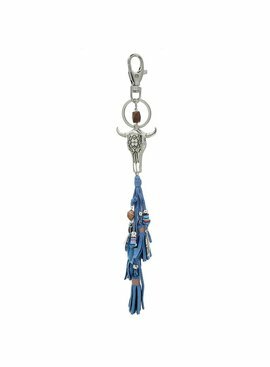 Nice must have for your keys or bag! Also nice as a small gift.